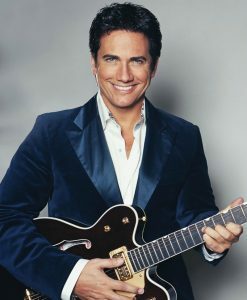 IMPRESSIONIST GORDIE BROWN WILL OPEN AT PLANET HOLLYWOOD: Longtime Las Vegas headliner and master comedy impressionist Gordie Brown will return to the Las Vegas Strip Tuesday, May 9 when he debuts his “Gordie Brown Live” show inside The Cabaret at Planet Hollywood. Performances will be Tuesday-Thursday, Saturday and Sunday at 7 p.m. Tickets are $59.95, $69.95 and $79.95. JARRETT & RAJA OPEN AT HOOTERS: You saw the “Magician vs. Maestro” duo, Jarrett & Raja, on Season 7 of NBC’s “America’s Got Talent” and they were one of only five popular AGT acts chosen to headline in the 2013 “America’s Got Talent LIVE” show at The Palazzo. They have traveled the world performing their interesting mix of magic-music or music-magic depending on which star you ask. Now the magic and piano guys have their own show at Hooters in the intimate showroom on the second floor. 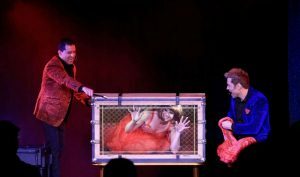 In addition, the show is offered with or without dinner with tickets for the 7 p.m. show (dinner at 6 p.m.) ranging from $49.99 to $89.99 and family of four and five packages. LAS RAGEOUS IS NEW TWO-DAY MUSIC FESTIVAL APRIL 21-22: The inaugural Las Rageous will be a two-day music festival taking over two square blocks Downtown Friday and Saturday, April 21 and 22. Created by Live Nation and Downtown Las Vegas Events Center (DLVEC), Las Rageous will feature performances from Avenged Sevenfold, Godsmack, Anthrax, Coheed and Cambria, Killswitch Engage, Breaking Benjamin, Mastodon and many more acts on two stages. All ages are welcome and doors open at 4 p.m., with headliners taking the stage at approximately 10 p.m. The festival will also feature a collection of wandering freak show performers, a radio KOMP-sponsored showcase of local rock and metal bands and a Vegas foodie-focused Food Truck Village. All tickets are for both days. 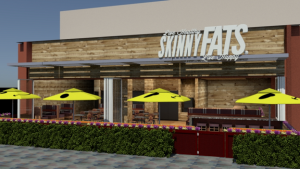 SKINNYFATS® NEXT OUTLET WILL BE AT DOWNTOWN SUMMERLIN ®; The ‘Healthy’ and ‘Happy’ split-menu-concept restaurant SkinnyFATS® is set to open a fourth valley location at Downtown Summerlin® this summer. The newest outlet will feature the same flavor-forward casual gourmet menu with colorful atmosphere-centric works by local artists. The ever-evolving restaurant is set to feature kombucha and craft beers on tap as well as liquor and juice cocktails at the Downtown Summerlin® location. SkinnyFATS® soon-to-be expanded flagship location at 6261 Dean Martin Drive debuted in June 2013, followed by 8680 W. Warm Springs Road in October 2014, and its newest and largest store at 6475 N. Decatur Blvd. opened last January. 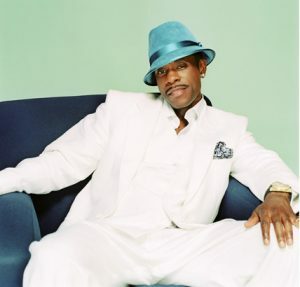 R&B ICON KEITH SWEAT RETURNS TO FLAMINGO IN JULY: After his successful debut in January, platinum-selling R&B singer Keith Sweat will be returning for an additional run of his limited engagement, “Keith Sweat: Last Forever,” in the showroom at the Flamingo July 5-22. Ticket prices begin at $59. Sweat and his fans have much to celebrate this year. It’s the 30th anniversary of Sweat’s triple-platinum album, “Make It Last Forever” and the 10th anniversary of his national radio show, “The Sweat Hotel,” which is the No. 1 nationally syndicated Urban AC evening radio show in the country heard on more than 60 radio stations and iHeartRadio. THE TEMPTATIONS RETURN TO THE ORLEANS SHOWROOM: Motown super-group The Temptations will bring their timeless classics and contagious moves to The Orleans Showroom May 20-21 at 8 p.m. 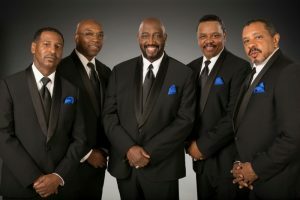 The group’s lineup features original member Otis Williams, along with Ron Tyson, Terry Weeks, Bruce Williamson and Joe Herndon. Tickets start at $49.95. The Temptations rose to fame in 1960. In their nearly 36-year career, they have achieved 37 top-10 hits, 15 No. 1 singles, and 17 No. 1 albums. The group has won seven Grammy Awards, including the Grammy Lifetime Achievement Award in 2013. In 1989, the vocal group was inducted into the Rock and Roll Hall of Fame. 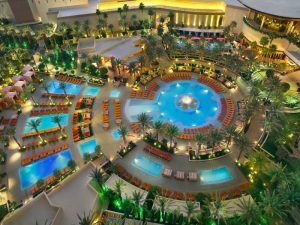 RED ROCK RESORT WILL HOST LEE’S BEER & TEQUILA EXPERIENCE: Red Rock Resort will host the 11th Annual Lee’s Beer & Tequila Experience on Saturday, Saturday, May 6 from 4-8 p.m. at the Sandbar pool area. The beer and tequila experience will feature more than 300 handcrafted beers and 70 of the finest tequilas. All ticket sale proceeds and the event’s silent auction collection will go to benefit Lee’s Helping Hand Foundation, a nonprofit dedicated to supporting the community. Tickets are $60 in advance at Lee’s Discount Liquor locations and $70 at the door. ENCLAVE IS NEW EVENT SPACE: Enclave Las Vegas located off the Strip at 5810 S. Eastern Avenue and minutes from McCarran Airport is a new $15 million, high-tech modern 75,000-square-foot venue suited to a wide range of events including corporate meetings and exhibits, conferences weddings and other special celebrations, broadcast events, entertainment rehearsals and more. Enclave has 22 rooms of various sizes and functions, including ballrooms, conference rooms, dressing rooms and a bridal room. GOLDEN NUGGET’S ‘52 FRIDAYS SERIES’ FEATURES CHANGING HEADLINERS: The Golden Nugget has revealed its list of headliners for May through July as part of the resort’s 52 Fridays series. Headlining acts will include ’60s pop sensations, ’70s blues rockers, ’80s hair icons, ’90s rock superstars, and more. May headliners in the showroom will be: May 5 – English new wave performers A Flock of Seagulls; May 12 – American rock artist Johnny Rivers; May 19 – pop/rock band Gin Blossoms; and May 26 – Australian group Little River Band. TOTO TEAMS WITH PAT BENATAR & NEIL GIRALDO FOR SUMMER TOUR: Two multi-Grammy Award winning groups, Toto and Pat Benatar & Neil Giraldo will co-headline this summer for a run of shows in North America. One stop will be at the Sandbar Poolside Stage at the Red Rock Resort on Saturday, Sept. 2. Tickets are $40, $60 and $80. Powerhouse duo Benatar and Giraldo since 1979 have won four consecutive Grammy awards as well as three American Music awards. 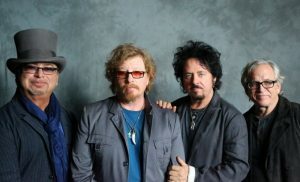 In 2015, Toto with close to 40 years together and thousands of credits, including the biggest selling album of all time, Michael Jackson’s “Thriller,” released their first new studio album in 10 years – “Toto XIV.” It debuted Top 10 in nine countries around the world and became their most successful album since 1988 in the United States and United Kingdom. 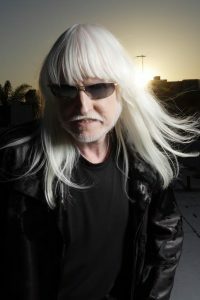 EDGAR WINTER BAND – RICK DERRINGER WILL HEADLINE AT CANNERY: Rock, blues and jazz artists Edgar Winter and Rick Derringer will bring their top hits to The Club at the Cannery on Saturday, May 20 at 8 p.m. Winter and Derringer have performed together since the 1970s. Their most famous collaboration was formed when Derringer produced The Edgar Winter Group’s double-Platinum album “They Only Come Out at Night,” which reached No. 3 on the U.S. album chart. Tickets start at $19.95. SCIENCE & TECHNOLOGY FESTIVAL OFFERS NINE DAYS OF FREE EVENTS: The Las Vegas Science and Technology Festival, one of the largest educational events in the state, will return for nine days of activities April 28–May 6. The festival hopes to spark curiosity and passion while celebrating the science and technology that makes the region special. Last year more than 26,000 people attended. With up to 50 anticipated free events this year, the hope is to attract nearly 30,000 people. The last event on Saturday, May 6 will be the Giant Science & Technology Expo packed with interactive activities, demonstrations, and entertainment from more than 80 organizations throughout the valley with the biggest full-day event at Cashman Center. For a full schedule of events, visit http://scifest.vegas. LAS VEGAS OUTDOOR ADVENTURES OFFERS RECREATION EXPERIENCES: A new adventure-tour company, Las Vegas Outdoor Adventures (LVOA), is offering a variety of all-encompassing outdoor recreational experiences in the Southwest desert. Visitors can opt for single-activity tours or one with multiple experiences all in one day. LVOA tours include roundtrip transportation to and from most Las Vegas hotels, a visit to the Mike O’Callaghan-Pat Tillman Memorial Bridge for a view of Hoover Dam, and a meal in the Last Stop Burger Bar. Numerous packages are available with options including: ATV, Razor and Jeep tours to the Colorado River and through the Lake Mead National Recreation Area; an outdoor, military-style shooting range; and rides in a monster truck that holds the Guinness World Record for its monstrous length. 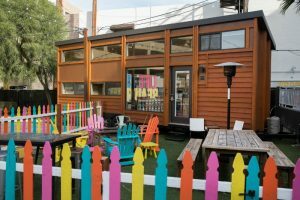 GOLD SPIKE DEBUTS THE SUGAR SHACK TINY HOUSE: The Gold Spike downtown has unveiled its newest amenity “The Sugar Shack.” Vegas’ only Traveler XL Tiny Home is nestled in the Gold Spike backyard. The Sugar Shack can be booked with rates starting at $250 per night Sunday through Thursday, and $500 on Friday and Saturday. Now through April 30, partygoers can enter-to-win a weekend two-night-stay for five in the fully-equipped, eco-friendly shack that is surrounded by a colorful picket-fenced front yard. The weekend getaway includes complimentary bottle service on the patio and breakfast at Fiddlestix 1. The Sugar Shack emulates the millennials sustainable-living style trend, downsizing living quarters and maximizing party space. The solar-powered, 344-square-foot abode has sleeping space for five, an elevated loft, full kitchen, bathroom, and dining areas. The Sugar Shack also features a working fireplace. ACOUSTIC GUITARISTS STRUNZ AND FARAH VISIT ALIANTE: Acoustic guitarists Strunz & Farah will headline the Access Showroom at Aliante on Saturday, May 20 at 8 p.m. 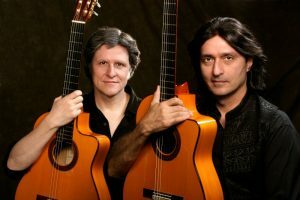 The guitarists met for the first time in 1979 and have been performing together ever since with their hybrid of Latin American and Middle Eastern influences. In 1980, they released their first album, “Mosaico.” Tickets start at $20.50. 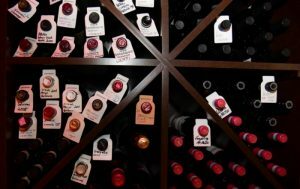 The Palm restaurant at The Forum Shops is holding a five-course “Taste of Time” wine dinner on Thursday, April 13 at 6 p.m. The celebrated wines will be from Masi Agricola, a seventh-generation estate-owned vineyard in Northern Italy and one of the original producers of Amarone. Tickets for the culinary affair are $125 for 837 Club members and $150 for non-members. The next Taste & Learn wine event at Ferraro’s Italian Restaurant & Wine Bar on Paradise Road will be held Saturday, April 22 from 4-6 p.m. Chef Francesco DiCaudo’s four-section artful menu will complement Veneto wine selections from the region in north-eastern Italy. Tickets are $65; call 702-364-5300. Wolfgang Puck Bar & Grill at Downtown Summerlin will be introducing a new series of beer dinners. The first will be with Joseph James Brewing Company on Tuesday, June 13. 555 DINNER AT VEGENATION BENEFITS CREATE A CHANGE NOW: Nonprofit Create A Change Now and events company The Reset Project are holding their third joint fundraising health education event celebrating communities working together to create sustainable change in nutrition education. The farm-to-table 555 Dinner will be held at VegeNation in support of Jamie Oliver’s Food Revolution Day on Sunday, May 7 from 6:30 to 9 p.m., with a reception at 5:30 p.m. Limited to 68 seats, tickets start at $77. The 555 Dinner will highlight five Las Vegas chefs, each creating one original plant-based menu item from a local farm. The special feast will feature Chef Rick Moonen of RM Seafood and RX Boiler Room, UNLV’s Executive Chef Mark Sandoval, VegeNation’s Executive Chef Donald Lemperle, Executive Chef Hansel Tan of Chow, Chef Patissier Vincent Pellerin of Eatt, and vegan wines and original beverages from Executive Director of Mixology & Spirits Education for SGWS, Francesco Lafranconi. WHISKEY PETE’S HOSTS ANNUAL WINE TO REMEMBER FUNDRAISER: Affinity Gaming and the Alzheimer’s Association Desert Southwest Chapter will present the annual Wine to Remember fundraising event on Saturday, May 13 from 6-9 p.m. at Whiskey Pete’s in Primm, Nev. The theme is “Denim and Diamonds” with attendees encouraged to don western attire for a rowdy good time with fine wines, hors d’oeuvres, silent auction packages and live music from the Carter Hall Project. Tickets are $50 or $80 for a pair. Shuttle service will be available from Silver Sevens on Paradise Road in Las Vegas or add a hotel room at Whiskey Pete’s for $50. Due to last week’s early weather forecasts, it was a safer bet to move First Friday to the second week making it Friday, April 14. However, some of the indoor events were still held on April 7. The Mandalay Beach Concert Series will begin Friday, April 21 with Snoop Dogg and Cypress Hill. The Live. Life. AMPLIFIED!™ Party Deck inside Moorea at Mandalay Bay Beach will also start up featuring 20-plus wine, beer, cider, and specialty liquor samplings as well as interactive games and activities. The next two acts will include Randy Houser on June 2 and Ziggy Marley on June 17. Continuing the grand opening celebration of Sugar Factory American Brasserie’s newest location at the Fashion Show mall, television reality star and style icon Kylie Jenner will make a red carpet appearance on Saturday, April 22 between 6 to 8 p.m.
South Point Arena & Equestrian Center, in partnership with Lucchese Bootmaker, now offers complimentary Wi-Fi in the arena facility’s 240,000-square-foot event space, which includes the concourse, exhibit hall, three climate-controlled arenas, vet clinic, feed store, horse valet and more than 1,200 stalls. The nonprofit Las Vegas Firefighters Benefit Association (LVFBA) will host its 19TH Annual LVFBA Golf Tournament at Revere Golf Club on Thursday, April 27. The event is open to the public and will follow a scramble format. Guests can register individually or as a team of four. Entry fee is $110 per golfer. The Liberace Foundation and Synergy|Sotheby’s International Realty are presenting the Liberace Collection at MacDonald Highland’s country club, DragonRidge through May 31. The display is showcasing Liberace’s piano, clothing and other artifacts. For the 23rd consecutive year, Las Vegas was named the country’s No. 1 trade show destination according to the Trade Show News Network (TSNN) “2016 TSNN Top 250 Trade Shows in the United States” list, which said Las Vegas hosted 57 of the largest shows held in the country last year.